Hero header images containing various office peripherals and everyday objects are becoming increasingly popular, particularly for design agencies and portfolio websites. 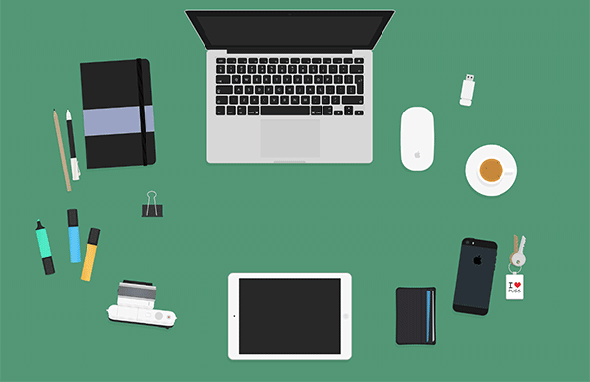 Following this trend can be time-consuming and requires some pretty swish photography equipment, but there are some shortcuts in the form of PSD mockup templates. 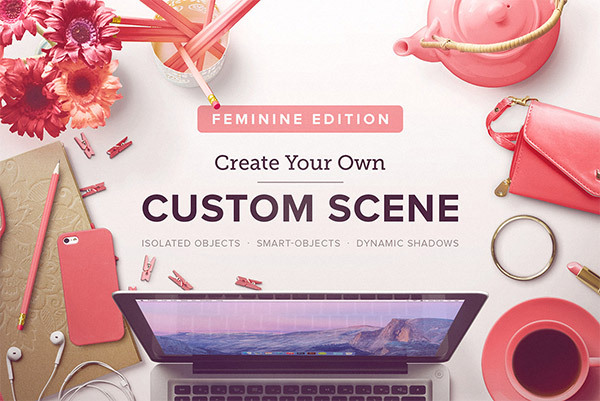 In today’s post, we round up a mixture of free and premium mockup templates with ready made tabletop scenes that can be customized to quickly produce cool website hero images. Everybody loves freebies! 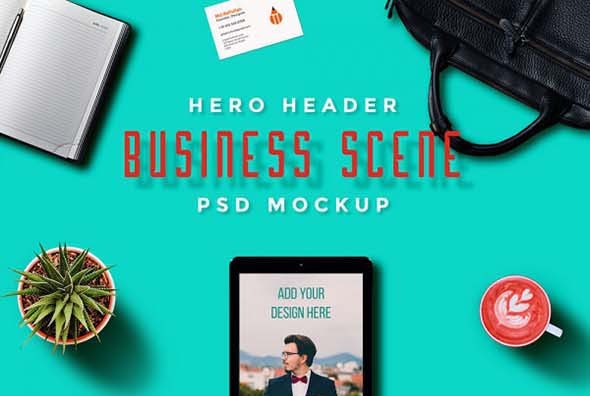 These mockup templates are all available for free, but the selection is pretty limited. This might be because the trend is still quite new, or that these templates take considerable time to create. If you can’t find a style you like, there’s plenty of premium templates available. This PSD mockup lets you create custom hero images for your portfolio page, profile cover and more. All objects, shadows, and backgrounds are separated on different layers, for easy customization. 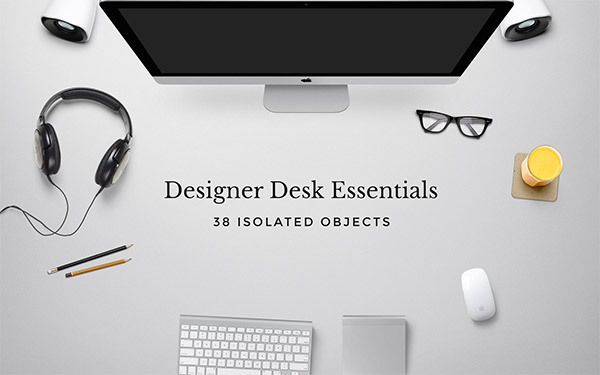 This is a collection of desk items to help you create great hero images for your projects. Comes in both PSD and AI formats. This fully-layered desk mockup includes the following: iMac Screen Mockup, iPad Screen Mockup, iPhone Screen Mockup, and Leather Stamping Logo MockUp. 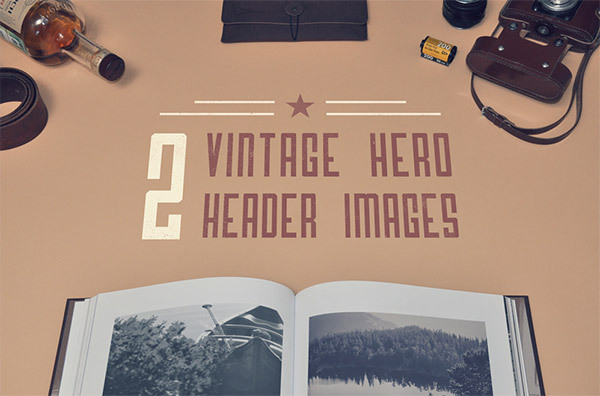 Here are 2 vintage hero images with replaceable surfaces via smart objects in Photoshop. Images are featured in High resolution (3000×2000) and 300 DPI. These PSD mockups are easy to use and customize in Adobe Photoshop. 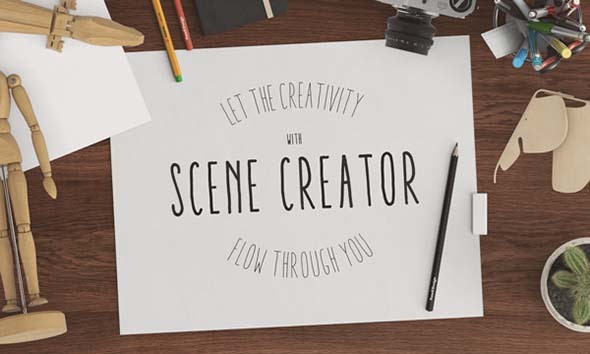 It includes plenty of high-quality objects you can use to construct your scenes. This is a set of three mockup templates that can be easily customized and you can also add your own designs with the help of smart-object layers. This is a pack of illustrated vector tools and desk items that are fully layered and can be edited with the help of smart objects to create unique hero images. 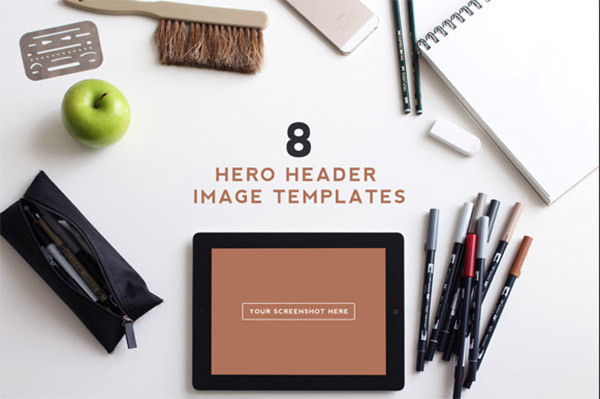 These PSDs are ideal for creating hero or header images and can be easily customized. They also include smart-object layers. If none of the free templates take your fancy, there’s a nice range of affordable premium mockups available. These premium alternatives often come with many more options than the freebies, so they’re great value for money. Plus, it’s nice to know you’re supporting fellow designers with a little passive income! 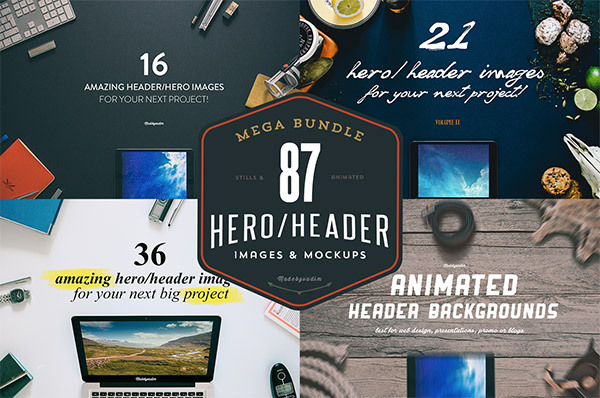 This mega bundle contains 87 hero/header images and mockups including 5 collections of still and animated series. This set contains 8 PSD templates with distinct themes. 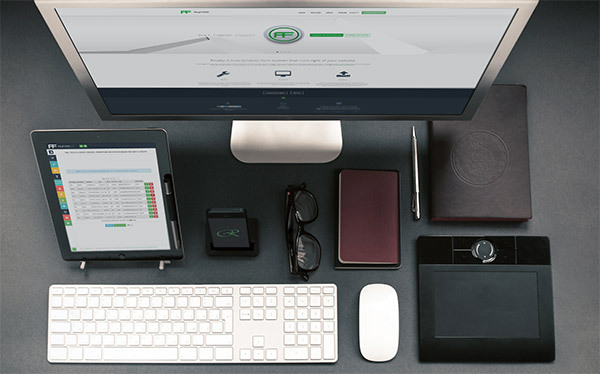 Download these realistic desk set ups today to create your own hero image for your brand. Each object in this scene is split into separated layers and has its own unique shadow which will change its direction depending upon the object’s rotation. 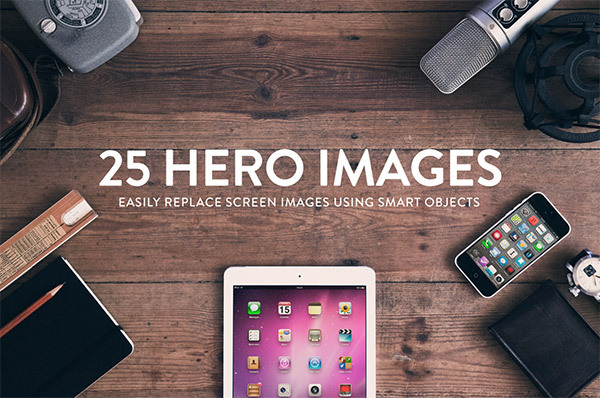 Here are 12 hero images for your next project. The image sizes are 4500x3000px. They are easy to customize with the help of smart objects. Grab these 25 hero scenes! All the digital devices used in the photos (iPhone, iPad, MacBook Pro and Kindle) have replaceable Smart Object screens, for easy customization. 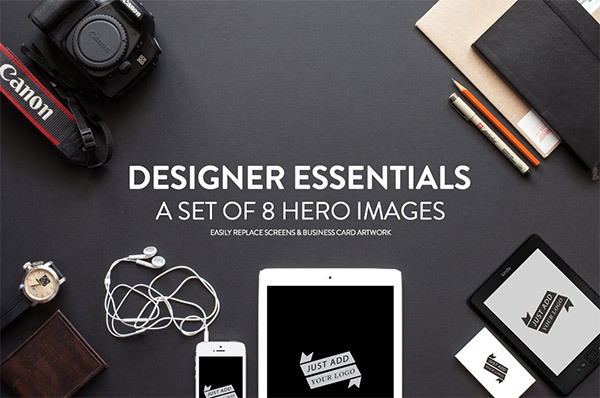 This hero images set contains 8 images with designer essential objects. The screens of the iPhone, iPad, Kindle, business cards and notebook used are all Photoshop smart objects. Inspiring article. 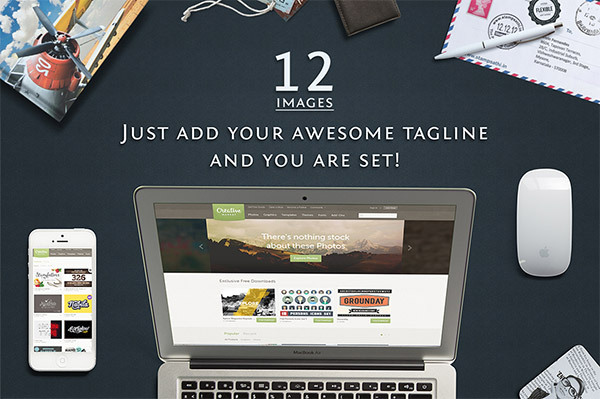 Thanks for sharing such a great check list of website templates. These mockup are really attractive. I hope you will be adding more interesting articles in the future. Great round up thank you for sharing it I use to have the “Workstation Mock Up V2” on my main slider. Now I’m planning to use thw Header/Hero Images – Wood Series love the wood concept. An excellent list of templates to go through. Recently the branding and marketing strategies have given a flight to attractive templates so that traffic gets attracted to these. Excellent!! 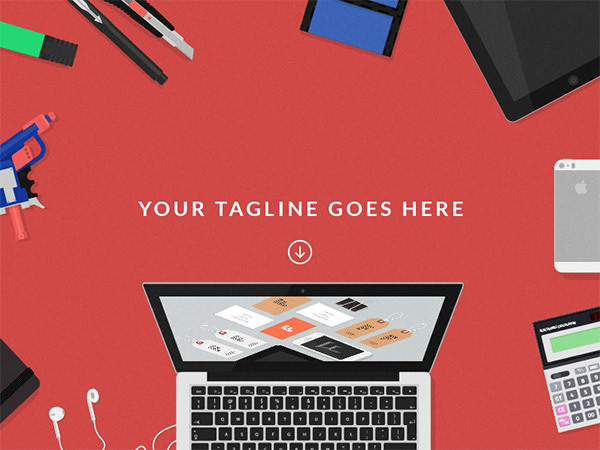 Amazing templates you have shared for web designing. Designing is the best thing in any web development work. Saving time is always great! Guys, visit https://placeit.net/ to generate mockups in seconds without Photoshop! 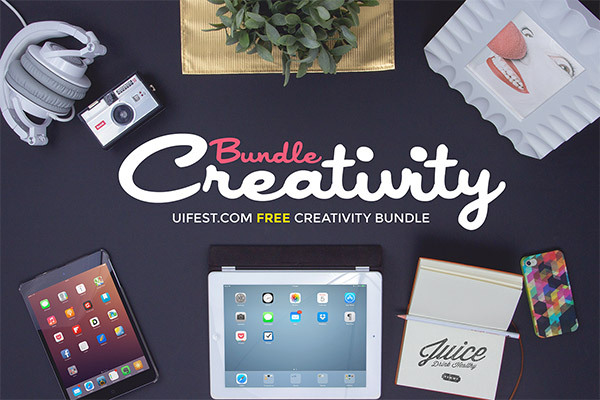 Again a very nice post, I like Free Creativity Bundle, it’s really awesome but other all are also good. Awesome, that’s exactly what I was looking for a website project! I’m thrilled I’ve help you find what you were looking for. Another way to do this is to find an image gallery that supports HTML 5 / CSS 3 which allows you to dynamically place items on the image. Almost like you’re moving items on the image. It’s a very nice effect. Thank you, I’m really happy you like the post! I think so too! Thanks for the comment. As usual very nice art work and my favorite is workstation mockup. That one is a fantastic one. Thanks for your comment, Cathy! Some really nice hero images there Chris. I’m more of a fan of designing your own, but if you haven’t got the time or equipment this is a great alternative way. Yes, I designed my own hero image that truly reflects who I am as a creative and the tools I use. It took about a couple of hours to set everything up and get it all straight and then to be able to shoot without a high-end studio setup so it looks half-decent. Don’t want to just to post a link to the image here as it’s naked self promotion but if anybody is interested in having a look please email me – unless Chris wants me to post it here of course.